Lucasarts made two Tentacle games and will never make a third, so a group of fans have done some heroic work and made one for us. The team, based mostly in Germany (though with some outside help), have released Return of the Tentacle, a full standalone fan game that has almost everything you could ask for, from the same art style to faithful voice acting. It’s a fantastic achievement, and also a nice surprise: normally we see projects like this at the trailer stage and then never hear from them again, but this is done, available for download now and, best of all, free. Being a fan-made project and not an actual Day of the Tentacle successor means some corners had to be cut, of course. 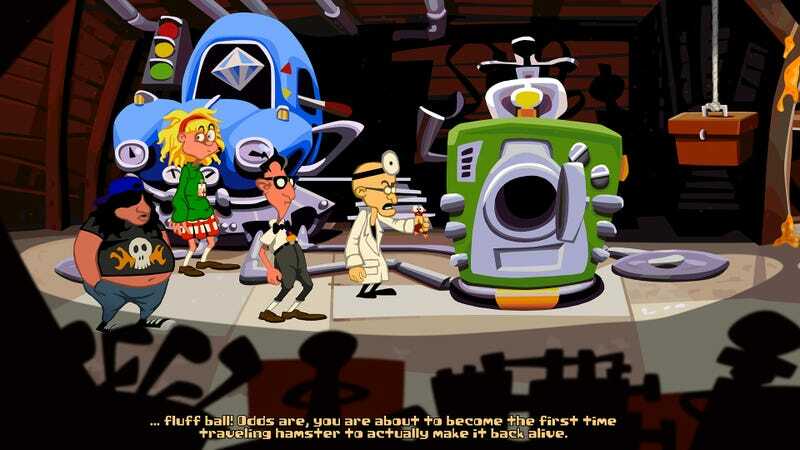 The voice actors, while doing an admirable job, aren’t the same, and the art copies the clean look of the remastered version of DotT rather than the pixellated (and superior) style of the original. And the control/inventory system is...different. But for something that’s free and available right now, who cares. You can get it here.